for more than 8 years. Auto Body Fix & Paint is owned and operated by Mr. Salvador Chavez. All the technicians of Auto Body Fix and Paint are certified and highly trained auto body craftsmen. Our company only uses HIGHEST QUALITY PRODUCTS and MATERIALS to provide a lasting quality finish. HOW LONG THE REPAIR TAKES? We understand that the time without your vehicle should be minimized. Our repair team of professionals makes every attempt to reduce the inconvenience of being without a vehicle by giving you a solid estimate of when the vehicle will be repaired so you can make arrangements. 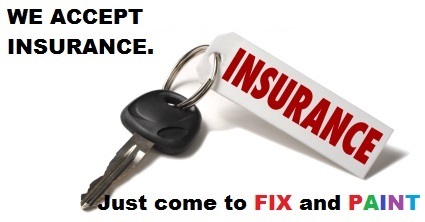 We’ll get your car or truck back on the road quickly. Duration of course depends on the amount of damage your vehicle has sustained and work effort involved performing the body shop services. Typically, this is no more than three or four working days on light to medium car damage.